Lowdown: The Avengers fight an all destroying AI they themselves have helped create. It’s hard being a sequel, and Avengers: The Age of Ultron can tell you all about it. It’s hard for a sequel to come up with an original plot, and Age of Ultron proves the point by being yet another movie about artificial intelligence getting created by humans with all the best intentions but going wrong. It’s hard for a sequel to continue developing its complicated world and characters, and by having to go through each Avenger’s moment of crisis and then salvation it sure as hell sags. And by having the extra chore of setting things up for the next sequel in the Avengers universe, things often become rather tedious and unfocused. So yes, there is a plot, and it is rather silly/unconvincing. Evil Hydra comes up with a baddie, Ultron, which isn’t really a baddie until Ironman/Stark turns it into one by fitting it with his software with which to cure the world of its problems. But no, the software doesn’t work, and Ultron sets forth doing its best to destroy humanity. Geographically, affairs focus on the an East European nation whose name sounds a lot like Slovakia; Action wise, affairs revolve around the ensuing battle between the Avengers, Ultron/s and two more superheroes for whom this movie is an Avengers’ recruitment piece. By the end of it all there’s not much left of poor little Slovakia. With all the good intentions, good actors and megatons of special effects at hand, Avengers: The Age of Ultron is a movie too heavily burdened by being forced to act as a cog in the Avengers grand design to be a good movie. 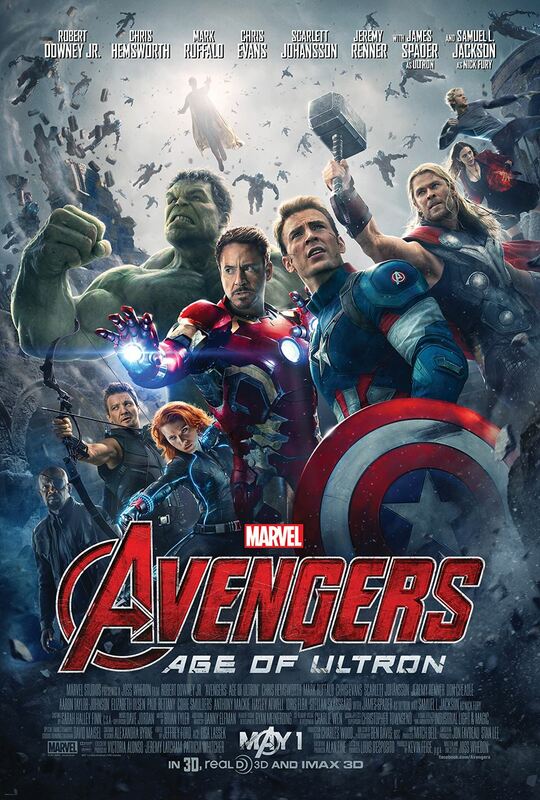 Overall: If this is what the first Avengers sequel is like, I hate to think what’s next. 2.5 out of 5 crabs.